Taligaiting Tips from Chef Jonathon Luft! 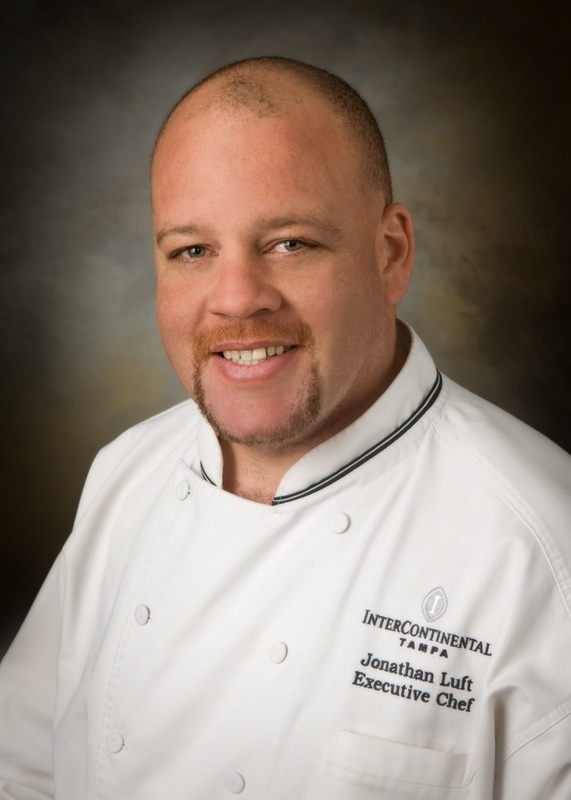 About the guest blogger: Chef Jonathan Luft is the Executive Chef of InterContinental Tampa. Bringing more than 10 years of culinary experience to the table (and kitchen), Chef Luft oversees the daily operations at Shula’s Steak House, as well as assists with banquets and menu creation for the hotel’s special events. With football/tailgating season just around the corner, I thought I would offer up some of my favorite tips for preparing a hassle-free, gourmet-style tailgate. These few tips will allow you to huddle up with your friends instead of stressing and slaving over the grill. Do a twice-baked potato the night before and then wrap in foil and reheat on the grill the day of the game. Grilling is about having a good time with friends so take it slow - prepare larger pieces of meat on lower heat (not to burn it) and then portion them out on platters for everyone to enjoy. (I like to marinate my meat the night before). I like grilling thick pieces of onion, tomato, whole Portobello and asparagus to serve with the meat. Vegetable marinate is easy a splash of oil, molasses, balsamic, salt and pepper. Put them on the top rack to drip their juices over the grilled items below. Fish is always good on the grill. Leave the skin on to help hold it together. I like a simple rub of olive oil, fresh lemon and a little garlic. Tailgating is about fun, so do as much prep at home as you can. Also, do smaller portions easy to hold in one hand so you can hold your favorite beverage in the other! Enjoy! For a more intimate dining experience, come join us at Shula’s where we offer award winning Premium Black Angus Beef brand steaks, fresh seafood and heavenly desserts right inside InterContinental Tampa. And, ladies, come join us at Shula’s on Aug.19 from 6-8 p.m. for Ladies Chalk Talk where celebrity coaches and former Buccaneers, Shelton Quarles and Ian Beckles will do some Football 101 with the girls. Of course, there will be amazing food, drink and a raffle…and all proceeds benefit the IMPACT Foundation, which provides resources and opportunities to at-risk single parent families throughout Tampa Bay. For more information and to register, please visit www.LadiesChalkTalk.com.